Lola Café is a big ancestral home converted into a resto bar and cafe that is located in 99 Sct. Lozano, Quezon City. They serve very unique filipino dishes ranging from bacon belly batchoy, spicy tinapa pasta, to the sinful yet heavenly bone marrow sisig. They also serve their own version of fruit-based mocktails and cocktails which makes it a perfect hang out place for your barkada! If you’re a serious carnivore and meat lover like us then this dish is definitely a must-order. A one-half kilo of tocino with anise-tasting sauce and burong mangga at the side would surprise your eyes when it’s served. It’s a fatty slab of pork but it’s super soft and tasty!! 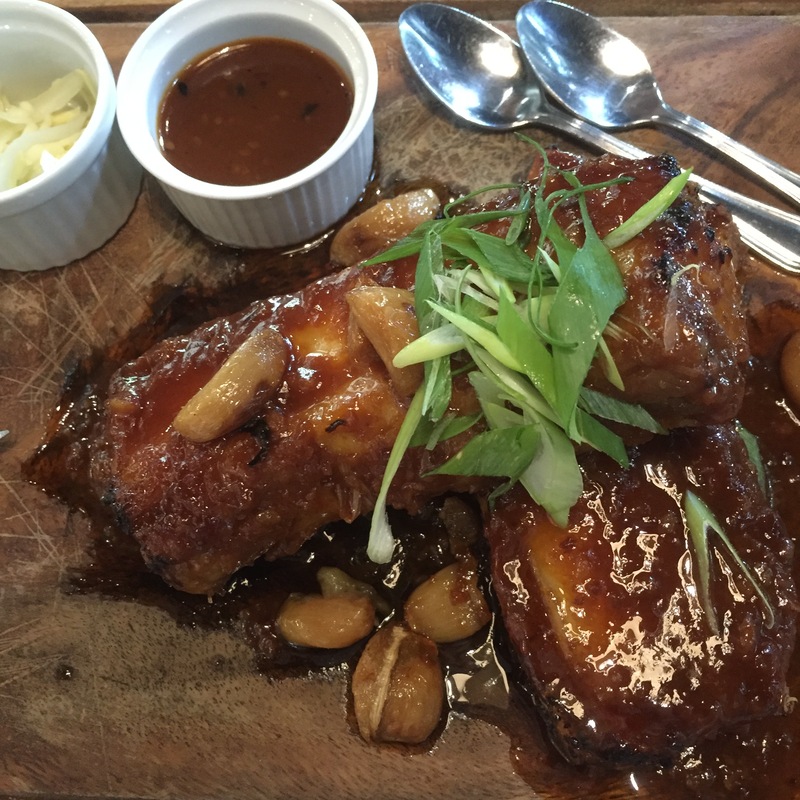 It has a sweet and salty kick to it that’s unlike the typical tocino. We didn’t expect that this dish would come in such a huge serving but it is definitely the perfect snack with your friends since it’s good for 3-4 people. 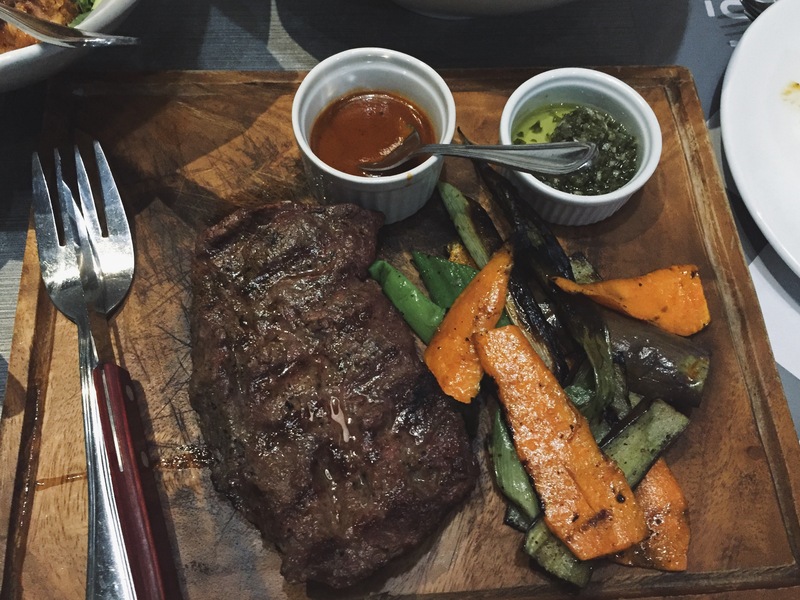 If you’re more into beef, this Kitayama Wagyu Steak is definitely for you. It was tasty and juicy, like how I want my steak to be. Moreover, it was not rubbery and was cooked rather evenly! I could tell in every bite I took that this piece of meat was for me. The serving was big and actually good enough for 3 people. The sauce that came with it was a perfect match with the meat that I pronounced them husband and wife in my head as they slid down my throat, yep! 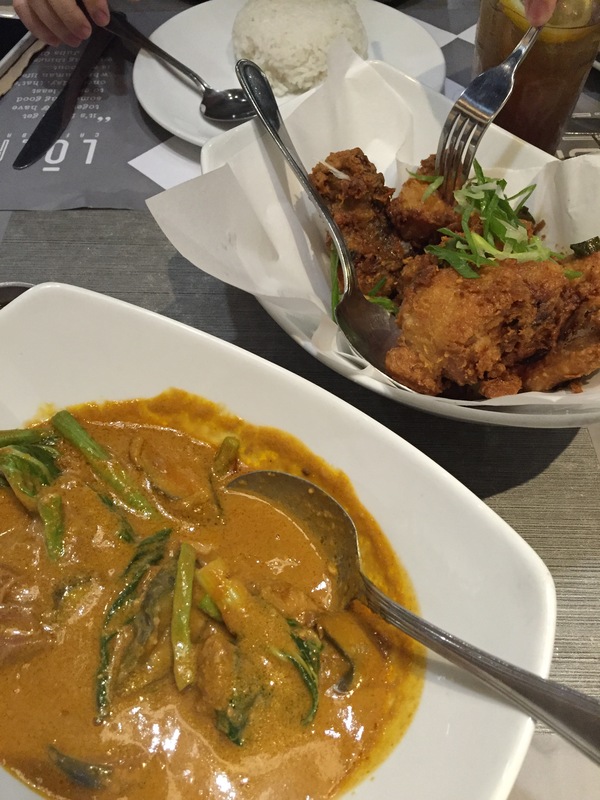 I love Kare-Kare and this restaurant’s version of my favorite dish definitely did not disappoint!!! The sauce was thick and tasted homemade, which made it authentic and just oozing with flavor. The sauce itself was already a viand, to be honest; it’s that good. I’m surprised that the goodness of this dish did not end there because the meat in it was soft and really easy to chew. Although it came in small chunks, I still give it a 5/5. Just reading Garlic Buttermilk Friend Chicken makes me salivate. Everybody likes crispy fried chicken and that is what this dish was like. One order of it can satisfy 2-3 people and the chicken size was not that bad. However, I did not really taste the garlic buttermilk flavor until the chicken was down to the last two pieces. Apparently, what would have given the chicken its flavor settled at the bottom of the bowl. One cannot really taste the garlic buttermilk from the poultry meat itself. To say that “Jason loves bone marrow” is an understatement. Whenever we eat at the bulalo restaurant near his place, he would call my attention and plead with his eyes to get the bone marrow of my bulalo. 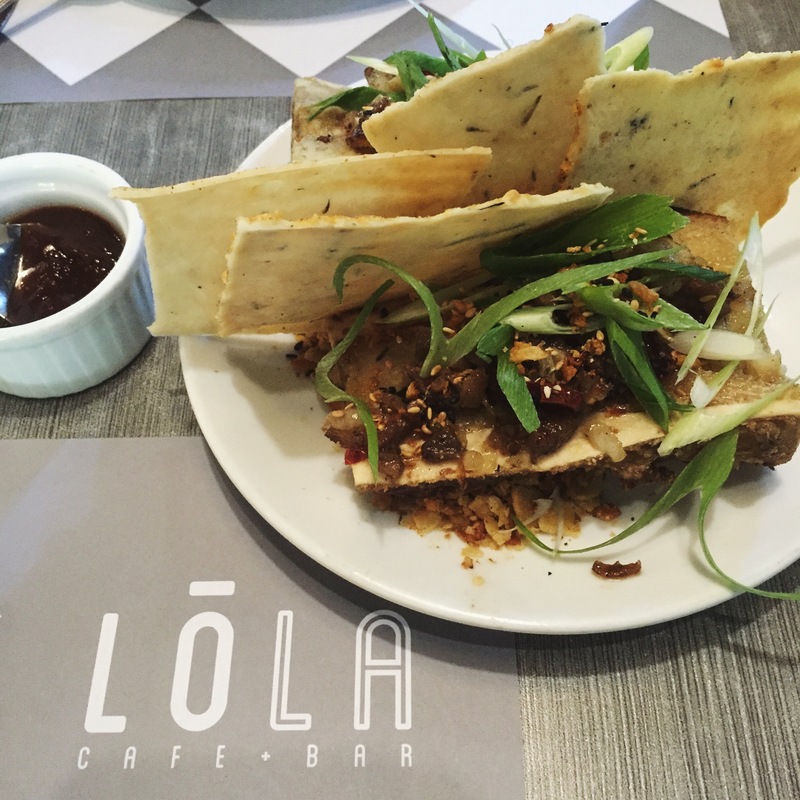 So it was such a big day for him when we discovered that Lola Cafe + Bar serves Bone Marrow Sisig. Even if he’s not into spicy food he devoured this dish down in a few minutes! The bone marrow had a distinctly amazing taste and the garlic-y sisig mixed with it in perfection. It’s a perfect appetizer as it comes with kamias jam and a few flat bread. This homey restaurant serve a lot of good food and from what we’ve tasted, we’ll definitely go back to experience their other dishes. Their food surely have a promising future in our tummies!